The “Tragus” is referred as the oval small cartilage flap which is located right outside the ear canal. Piercings made to this portion of the ear are commonly referred to as Tragus Piercings. Even though, the lobes have remained a popular choice among people to flash those pieces of jewellery and ear piercings but, the trend has changed a lot these days. Tragus piercing has come out as a popular choice for people who are extremely fashion conscious and willing to try different things to maintain a look that is unique and quite distinguishable from others. How is Tragus Piercing Done? Unlike nose piercing, tragus piercing requires some extra pressure from the piercer, since the tragus is thick and somewhat hard. People are always advised not to try this piercing at home by themselves as it can lead to different complications in the near future. It is always good to get it done from an expert who has ample experience in the field. The person is told to lie down either upside down or straight on the back. Damage to the ear is prevented by placing a cork within the canal. The area is cleaned thoroughly to avoid infections. 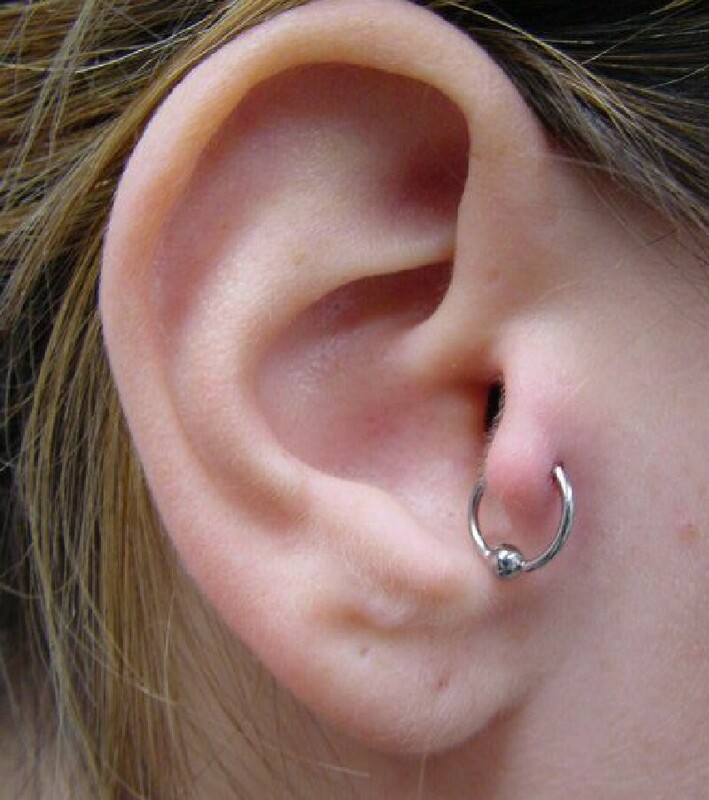 With the help of a curved or straight hollow needle, the tragus is pierced with some pressure. Bleeding is bound to occur naturally, but there is nothing to get worried of. The Tragus Jewellery is then inserted into the pierced area. The tragus can be located on both the ears. The triangle shaped cartilage just in front of the ear canal or right above the lobe is known as the tragus. This part of the ear is a bit hard, unlike the lobe which is why piercing it hurts a little more. Piercing a part of the body to showcase some jewellery pieces is definitely going to cause some discomfort. However, the pain associated with the piercing depends on different factors. The piercer’s skill is an important aspect that can alleviate or increase the piercing pain. Generally, these people are experts and know how to get the job done safely causing the least amount of pain. Apart from that, different people have different endurances against discomfort and pain. While a great amount of pain can be easily endured by some people, others might have difficult time coping with it. The tragus jewellery also plays a crucial role in alleviating the discomfort and pain. 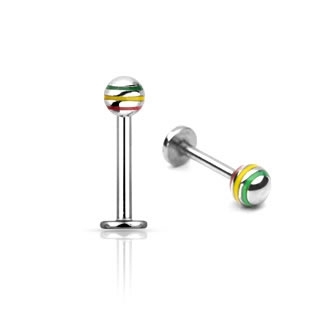 Straight accessories like barbell, cause less pain than a bead ring. Tragus piercing generally does not cause much of a pain, however few people experience some feeling of pressure or discomfort shortly after it has been done. As expected, piercings in the tragus generally do not hurt much mainly because of the fact that only a few nerves end here. Bleeding varies from person to person depending on blood vessels location. However, the bleeding is temporary and tends to stop after a few minutes of the completion of the piercing. Proper aftercare of a tragus piercing is necessary to quicken the process of healing. Generally, the duration of healing depends on skin type of the person which can be dry or oily along with other factors like immunity, disorder like diabetes, etc. It is essential to tidy and clean the piercing area with cotton ball dipped in saline solution or a disinfectant. The solution application needs to be carried out in a way that it can enter the pierced area. Failing to take proper aftercare can lead to infections which can cause boil or keloid or even cause swollen tragus. The infected area should be treated with diluted warm water and tea tree oil in a gentle and calm manner. 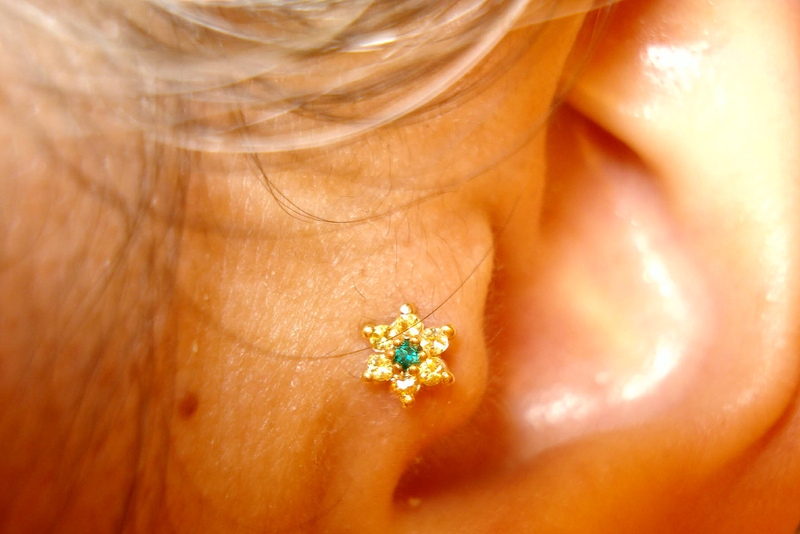 Frequent changing of tragus jewellery should be avoided at all costs. In case, the conditions gets serious and no remedies take effect, it is always advised to visit the dermatologist at the earliest. Studs: Studs offer a unique, sophisticated look and perfect for people who wish to maintain a sense of professionalism along with equal focus on style and fashion. Rings: These are the preferred choice of most people as they offer a huge range of styles to select from which include beaded rings, barbell rings, segment rings and more. Barbells: Barbells are perfect for people who wish to showcase the wild side of their nature. These exotic adornments come in different designs and patterns ready to provide that catchy look. The movement of the jewellery from its actual position to some different position is known as ‘migration’. In specific cases, the jewellery migration occurs primarily because of the sensitivity of the user to that particular metal. Allergic reactions might also start developing on the skin. Migration generally occurs when jewellery is too large in size which disrupts stretching of skin and forces it to move to some other place. In case of migration, the person should make a visit to the same piercer so as to change the jewellery and get something that is appropriate in size and shape as well as weight. Rejection is a big problem among several people who have pierced different body parts. The causes of rejection are identical to that of migration, but generally associated with redness and soreness of the pierced area. In rejection, people experience natural expelling of the jewellery which can sometimes get extremely painful. The movement of jewellery causes the skin to become thinner and there comes a time when the thin skin can no longer support the jewellery which causes it to fall out naturally. The ugliest part is that, it can leave behind a big scar mark in the pierced area. In order to stop rejection of tragus piercing a proper aftercare along with good placement plays a huge role. The piercing should be done by some experienced piercer who has adequate qualifications and experience in the field. Appropriate jewellery should be chosen to reduce chances of rejection. It has been observed that jewelleries made of steel have higher rejection as compared to jewelleries that are made of glass or titanium. Small gauges have increased chances of rejection. Therefore, it is always better to select a large gauge which is the most suitable. For tragus piercing, the appropriate gauge size is 18. The placement should be double checked by the piercer to ensure proper depth. 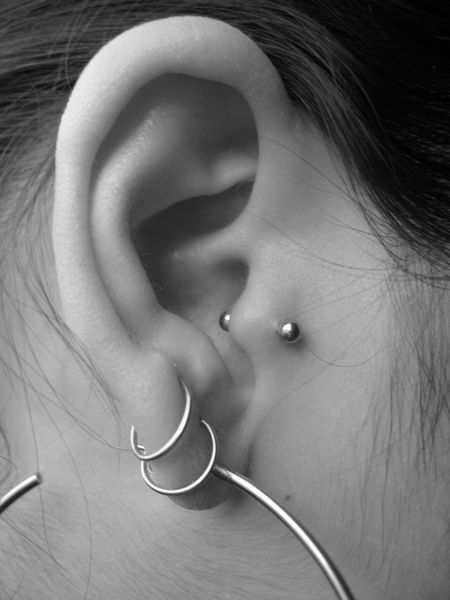 The tragus piercing requires proper aftercare so as to keep away infections. Apart from salt soaks, the area should be cleaned regularly with some cleaning solution with properly washed hands. How Long Does Tragus Piercing Last? The lasting of a piercing generally depends on its placement. Areas that stay protected and do not get much of a movement ensures that piercings stays for a long time period. However, if the body tends to reject the tragus piercing then, there are least chances that it will stay for a long period of time. Proper aftercare along with the right jewellery also plays an important role towards the longevity of the tragus piercing. 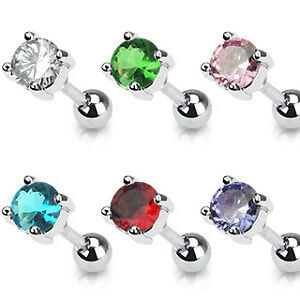 The price of piercing in the tragus depends on several factors. The location or the city where the person is living is a deciding factor when it comes to the price. Apart from that, the cost also depends on from where the person gets his/her tragus pierced. If the piercing is carried out by some highly experienced professional then, prices tend to be higher. When all these factors are considered, the actual price of tragus piercing can fall between US $ 15 to US $ 50. The jewellery type chosen by the person can also increase the cost to some extent. Well, this is very informative article about tragus piercing jewelry that i can say. This is what i looking for. You compile all the necessary info about it in just one article. Good job.